Cleveland Golf may, at its sole discretion, modify or revise these Terms at any time by updating this posting. You are bound by any such modification or revision. If we change these Terms, we will notify you by posting the revised Terms on our Site. It is your responsibility to periodically revisit our Site. We may also notify you by sending you an email notification to the email address that you provided to us. It is your responsibility to provide us with your current email address. 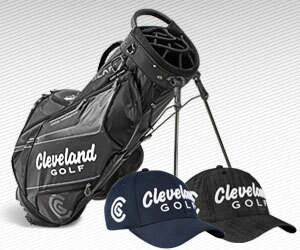 THIS SITE IS PROVIDED BY CLEVELAND GOLF ON AN "AS IS" AND "AS AVAILABLE" BASIS. CLEVELAND GOLF MAKES NO REPRESENTATIONS OR WARRANTIES OF ANY KIND, EXPRESS OR IMPLIED, AS TO THE OPERATION OF THIS SITE OR THE INFORMATION, CONTENT, MATERIALS, OR PRODUCTS INCLUDED ON THIS SITE. YOU EXPRESSLY AGREE THAT YOUR USE OF THIS SITE IS AT YOUR SOLE RISK. TO THE FULL EXTENT PERMISSIBLE BY APPLICABLE LAW, CLEVELAND GOLF DISCLAIMS ALL WARRANTIES, EXPRESS OR IMPLIED, INCLUDING, BUT NOT LIMITED TO, IMPLIED WARRANTIES OF MERCHANTABILITY AND FITNESS FOR A PARTICULAR PURPOSE. CLEVELAND GOLF DOES NOT WARRANT THAT THIS SITE, ITS SERVERS, OR E-MAIL SENT FROM CLEVELAND GOLF ARE FREE OF VIRUSES OR OTHER HARMFUL COMPONENTS. CLEVELAND GOLF WILL NOT BE LIABLE FOR ANY DAMAGES OF ANY KIND ARISING FROM THE USE OF THIS SITE, INCLUDING, BUT NOT LIMITED TO DIRECT, INDIRECT, INCIDENTAL, PUNITIVE, AND CONSEQUENTIAL DAMAGES. TO THE FULL EXTENT PERMISSIBLE BY APPLICABLE LAW, CLEVELAND GOLF SHALL NOT UNDER ANY CIRCUMSTANCES BE RESPONSIBLE OR LIABLE TO YOU OR TO ANY THIRD PARTY FOR: ANY LOSS OF PROFITS, EARNINGS, GOODWILL, OR ECONOMIC LOSS OR ANY INCIDENTAL, SPECIAL OR CONSEQUENTIAL LOSS OR DAMAGES ARISING OUT OF OR RELATING TO THIS SITE (INCLUDING WITHOUT LIMITATION, INFORMATION COLLECTED FROM YOU, THE USE, INABILITY TO USE THE SITE, OR OPERATION OF THE SITE, OR INFORMATION ON THE SITE). TO THE FULL EXTENT PERMISSIBLE BY APPLICABLE LAW, CLEVELAND GOLF’S LIABILITY ARISING FROM OR RELATING TO THIS SITE (INCLUDING WITHOUT LIMITATION, INFORMATION COLLECTED FROM YOU, THE USE, INABILITY TO USE THE SITE, OR OPERATION OF THE SITE, OR INFORMATION ON THE SITE) SHALL NOT EXCEED TWENTY (US$20) UNITED STATES DOLLARS. Unless otherwise provided, products, patents, product names, designs, graphics, logos, titles, text, images, button icons, data compilations, software, audio, video and all other all content within this Site are the trademarks, service marks, trade names, copyrights, patents or other property of Cleveland Golf ("Cleveland Golf Intellectual Property"). All other unregistered and registered trademarks are the property of their respective owners. Nothing contained on this Site should be construed as granting, by implication, estoppel, or otherwise, any license or right to use any Cleveland Golf Intellectual Property displayed on this Site without Cleveland Golf's written permission in each instance. Cleveland Golf has expended and continues to expend large amounts of money and employee time for research and development. As a result of our substantial activities Cleveland Golf has produced and continues to produce technologically-advanced, innovative, quality golf products incorporating Cleveland Golf Intellectual Property which is protected by a multitude of patents, trademarks and other rights granted to Cleveland Golf under international, federal and state statutory and common law. 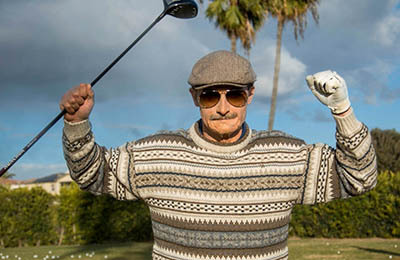 Accordingly, Cleveland Golf expects that third parties will respect its intellectual property rights. Cleveland Golf vigorously enforces its intellectual property rights, whether infringement takes the form of imitation products, unauthorized use of trademarks or copyrights or in any other manner. THE FOREGOING ARE PROPRIETARY TRADEMARKS, SERVICE MARKS, TRADE NAME OR CORPORATE NAME OWNED BY ROGER CLEVELAND GOLF CO. INC., HUNTINGTON BEACH, CALIFORNIA, USA, DOING BUSINESS AS "CLEVELAND GOLF." CLEVELAND GOLF RESPECTS THE LAWFUL PROPRIETARY RIGHTS OF OTHERS, INCLUDING ITS COMPETITORS, AND EXPECTS OTHERS TO RESPECT THE LAWFUL PROPRIETARY RIGHTS OF CLEVELAND GOLF. WHERE APPROPRIATE, CLEVELAND GOLF WILL TAKE NECESSARY STEPS TO PRESERVE, DEFEND AND PROTECT ITS PROPRIETARY RIGHTS. You are prohibited from posting or transmitting to or from this Site any unlawful, threatening, libelous, defamatory, obscene, scandalous, inflammatory, pornographic, or profane material, or any other material that could constitute or encourage conduct that would be considered a criminal offense, give rise to civil liability, or otherwise violate any applicable law. Cleveland Golf will fully cooperate with any law enforcement authorities or court order requesting or directing Cleveland Golf to disclose the identity of or help identify or locate anyone posting any such information or materials. Cleveland Golf appreciates your comments, however, please do not send us any creative ideas, original materials, or suggestions relating to new products, modifications to existing products or marketing plans.